I’ve been waking up a little earlier because of daylight savings time. 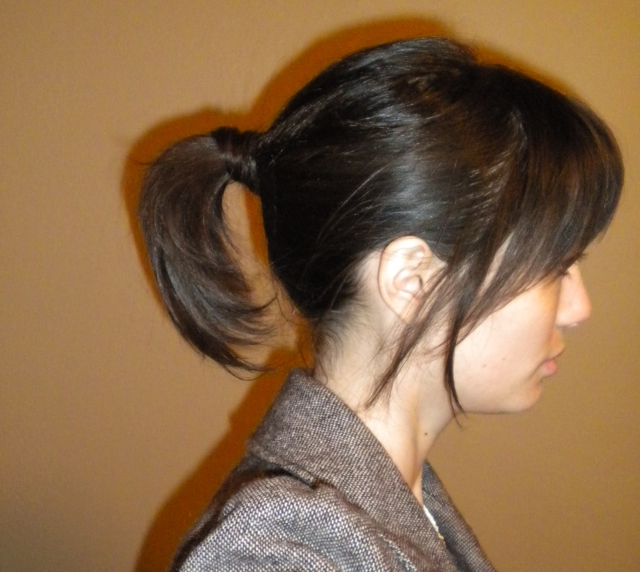 Working with second-day hair I attempted a ponytail and I was pretty happy with it. 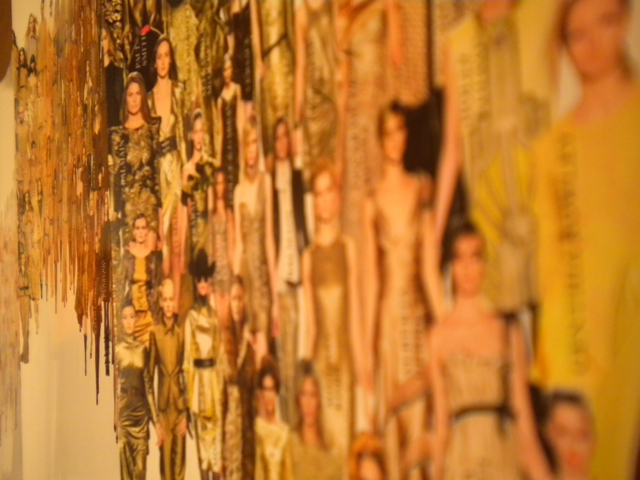 The hair that is wrapped around and hiding the elastic is an extension from a photo shoot. These clip-in extensions are amazing and I recommend working with a stylist to get a color match of your hair. 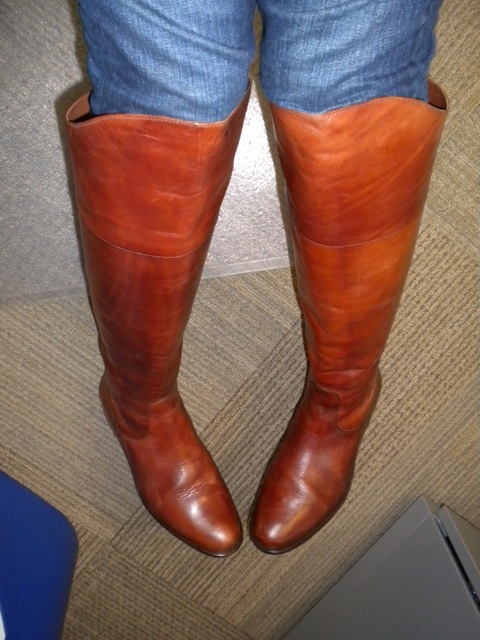 I wore my big winter purchase to work with skinny jeans. The color and fit are amazing. Then work, work, work and finally it was time to go home. 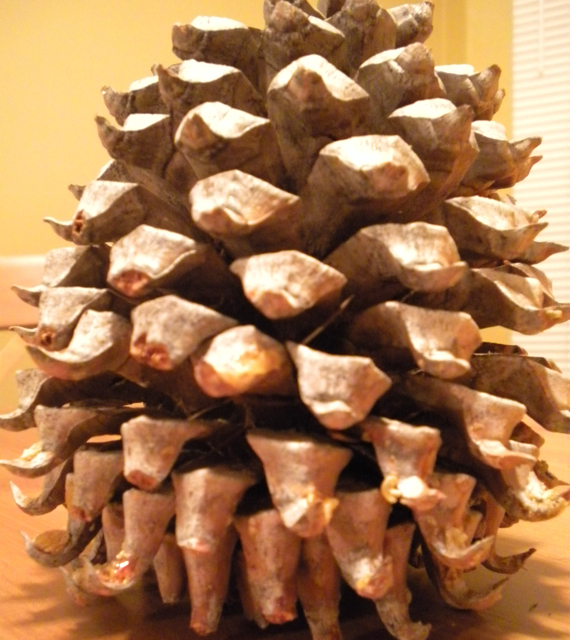 I found a GIANT pine cone behind the back tire of my car. Throwing any caution of little critters inside to the wind, I put it in my car to use as decoration. I came home to find out that Mr. Moose ate half of an empty Southwest cracker package and a whole bag of walnuts, but it least he wasn’t sick. Mr. Moose ate a whole bag of walnuts! 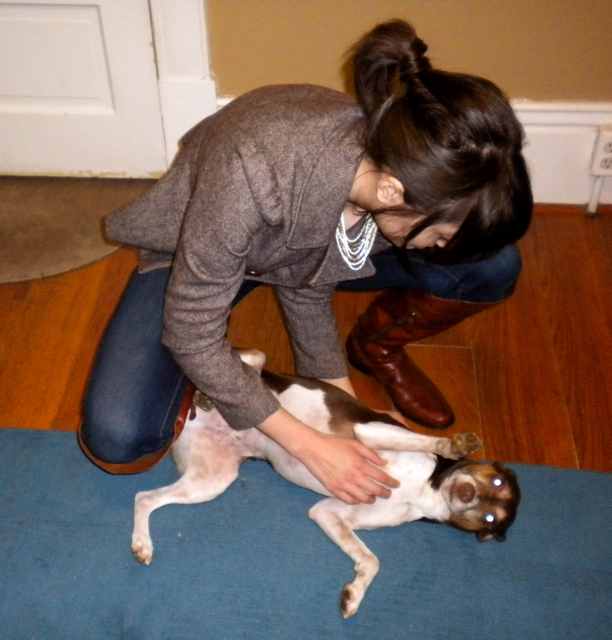 ... but I can't stay mad at him. Look at his little face. The tweed jacket I’m wearing really goes with the boots and gives it an equestrian vibe. Best of all, the jacket was free. I found it in a bag on the sidewalk. Some girls moving out below me left it and when I tried to give it back they said they left it out on purpose. I guess they thought someone would take it. It was sort of a consolation prize for them smoking under my AC unit all the time and me having to tell them and their friends to knock it off repeatedly. Anyways, I got home and was so happy because my eBay purchase arrived. 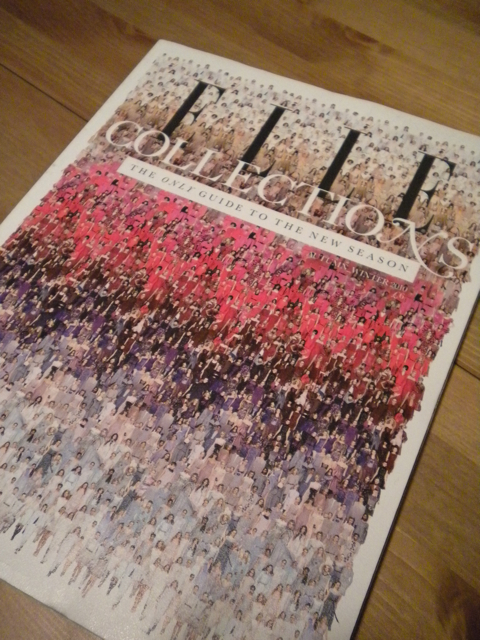 The Elle Collections Autumn/Winter 2010, my absolute favorite magazine! 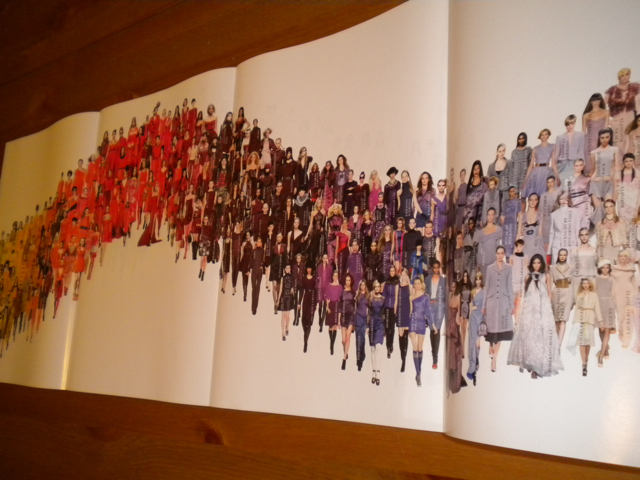 The cover is a mosaic made up of runway shots.